Despite the overwhelming amount of invites I received to go spend my spring break partying on the beach (okay, fine, I didn’t get any invites), I decided to spend my time off in Costa Rica. Two years ago, when I was a Junior in high school, I spent five months in Costa Rica doing a study abroad program and I haven’t been back since. 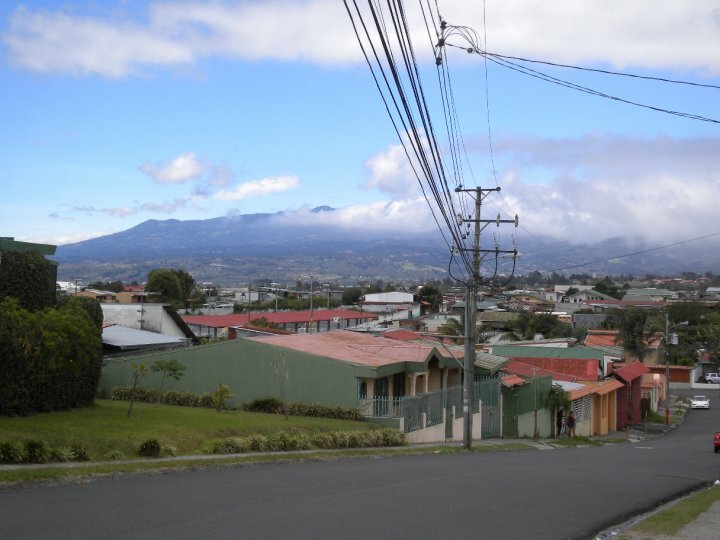 One coincidental Skype conversation with a friend, however, (I had forgotten how hospitable Costa Ricans are) and I was on plane to spend a week with her and her family. Stepping back out into the pounding sunlight and the roar of dirt bikes zipping their way past corner fruit stands brought back a sudden burst of emotion and with it everything I would tell myself if I was arriving again for the first time. Make every effort to communicate only in the native language. Assuming you’re studying abroad in a country that doesn’t speak English, trying to express yourself will probably feel about as painstakingly slow as texting on a rotary phone. Even more frustrating will be the fact that most people speak English as a second language and it’s ever so tempting just to blurt “Your car is on my foot” in English rather than trying to work out how to conjugate such a phrase. Don’t do it! Better to resort to hand motions (or screaming, in that case) than to sacrifice your dignity and all those hard earned hours sleeping through Spanish class. But really – it does pay off. Every time you start turning blue with effort from trying to remember the word for “soap” means that it will come that much easier to you the next time you’re cold, wet, and naked while attempting to scrub yourself clean with the last few drops of your host mom’s hair conditioner. During my first few days of school I found that my problem wasn’t finding friends, as I had been afraid of, but instead remembering the names of the sheer volume of people that introduced themselves to me. I quickly realized that despite my lack of hair gel and nearly translucent shade of skin my new classmates were more than eager to adopt me into their daily lives just due to the fact that I was a foreigner. In a different situation such high status might have gone to my head, but in this case it was offset by the fact that I had the equivalent speaking skills of a toddler. Say yes to everything you’re offered. Not only is this strategy great for immersing yourself in fresh cultural experiences, but it also serves as a great fallback strategy when you realize you’re nowhere close to comprehending whatever strange language you got a B+ in during high school. Frankly, I thought this one would be a no-brainer. And, for my first few days in Costa Rica, it was. It helped me try some new foods, get a ride with a few new friends to the beach, and find myself “playing” (running blindly after the ball) in a local soccer game. And then came the rodeo. Things abruptly took an unexpected turn, however, when my friends asked me if I’d like to watch the upcoming rodeo from – I like to pretend they paused for effect here – inside the bullring. If anything, the point of studying abroad is learning how to cope with being constantly in over your head. Yes, it can be overwhelming at times when you’re sunburned, tired, and can’t even figure out the correct phrasing to complain about the repetitive food you’re eating. But it all becomes worth it when you fall asleep every night marveling at how incredibly different the day has been compared to every day of your life that’s come before it. If you get a chance to study abroad, take it – at the very least you’ll come back with a great tan.